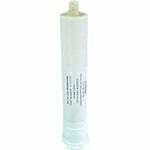 The Microline Activated Carbon Post Filter S7025 removes chlorine from water and should be used in conjuction with the TFC membrane in your Microline RO system. 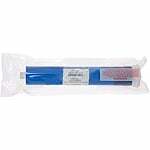 The Micrlone TFC-50 Gallons Per Day Reverse Osmosis Membrane is a 50 gallon per day membrane. Part number S1229RS. 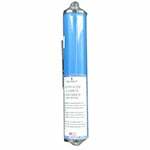 The Microline TFC-25 GPD RO Membrane is a 25 gallon per day membrane and replaces the T112-25 CLK. This newly designed "dry" membrane can be stored for over a year and should be replaced every 2+ years depending on usage. 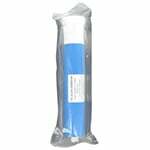 The CTA-14 Reverse Osmosis CTA (cellulose triacetate) Membrane is a 14 Gallons Per Day membrane also known by Microline-Clack as S1224-RS. 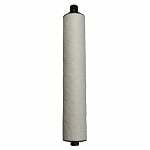 The CTA-14 RO membrane is used in Reverse Osmosis filter systems series RO-10, and RO-14.